On race day there are many things that happen that are out of your control: that unusually fast guy in your age group, the weather, water temperature, etc. But you can prepare for things that are under your control like the condition of your bicycle. It is best to get a tune up on your bicycle and have the mechanic check all your components anywhere from a month to 2 weeks before the event. Being prepared and knowing that your bike is race ready will also help calm any pre-race nervousness that you may have. When it comes to where to go for your tune-up, we have a few suggestions as well. James Balentine is the man behind City Limit Cycles, a mobile bike repair service. His service experience is built around a lifetime passion for all things cycling. He’s been a pro racer, a pro mechanic and pro level bike geek. Through it all, he brings a high level of professionalism and attention to detail. Now a world-class bike mechanic comes to your door so you can focus on what you love most – more saddle time. Josh Allen started this hill country location of the famous Jack & Adam’s Bicycles in 2014. Jack & Adam’s Fredericksburg specializes in carrying triathlon gear and has a full-service department to meet your needs. As a true cyclist destination, he even has a guest house where you can stay right behind the shop in downtown Fredericksburg. Josh will also have a pop-up shop at the Kerrville Expo so be sure to stop by a talk shop. 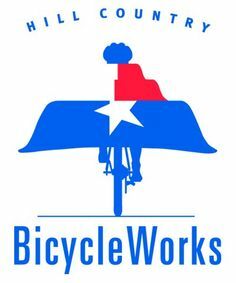 Hill Country Bicycle Works has been serving the Texas hill country in 2 locations since 1995. The owners, Adam and Lisa, rode their bicycles around the world for 3 years- (30,000 miles 17 countries on 4 continents from 1992- 1995) finding the beauty of the hill country a perfect place to open a bike shop! With over 70 years of bike shop experience between them, they have a wealth of knowledge about all aspects of bicycle riding, touring, advocacy, trail building, event promotion, racing and bicycle repair. https://kerrvilletri.com/wp-content/uploads/2018/08/time-for-a-tune-up-feature.png 400 495 highfive5 https://kerrvilletri.com/wp-content/uploads/2018/06/2018-Kerrville-Triathlon-Logo_no-presenting-300x180.png highfive52018-08-31 15:40:182018-08-31 15:40:18Time for a Tune Up! Buck is your friendly Kerrville Triathlon Mascot. Always there for photo ops and high fives. Look for him at Swim Start before the race and at the awards ceremony at the finish line. Kids can race him from the start at the Kids fun run on Saturday. By following these simple wetsuit care steps you will extend the life of your investment. Wetsuits can be used in all open water conditions. You should not use your wetsuit in a chlorinated swimming pool. Over time the chlorine will damage the seams and degrade the fabric of the suit. No matter the water, you should always rinse your suit in clean cool water after each use. To preserve the life of the wetsuit always store your wetsuit lying flat or hanging in a dry place on a thick plastic hanger. Wetsuits can be heavy so make sure the hanger is sturdy, you don’t want to find your wetsuit crumpled up at the bottom of a closet. Make sure your wetsuit is completely dry before you put it away or it will mildew and STINK! You can turn your wetsuit inside out to help it dry faster. Never leave your wetsuit out in the sun to dry. Periodically wash your wetsuit with wetsuit shampoo. This will keep the integrity of the fabric as well as keep it from becoming mildewy and stinky. Only use approved lubricates when putting on your wetsuit. Like chlorine, unapproved lubricants can degrade the fabric and will have your wetsuit falling apart at the seams. Petroleum jelly (Vasaline) or any other petroleum-based product will literally eat holes in your suit lining. If you have to travel with your wetsuit, fold as stated below. Having fold seams and a crumpled suit will lead to more likely tearing when you are putting the suit on. :Fold up legs half way up. Fold the remaining legs over the arms and torso. Unfold when you get where you are traveling. Welcome to the 7th Annual Kerrville Triathlon Festival presented by H-E-B! At High Five Events, we look forward all season to our big finale in Kerrville, the final event of the Texas Tri Series. The series begins in Austin with the Rookie Tri in May and concludes here in the beautiful and welcoming town of Kerrville. We will be returning again to Louise Hays park for T2 and the Finish Line Festival. The run course will again be on the river trail that follows along the Guadalupe, offering shade and beautiful scenery. Runners will make their way to the finish and collect their belt buckle finisher medals! This year’s finish line festival will be stocked with fresh cooked H-E-B Fajitas, sweet & salty snacks, drinks, and awesome vendors. Also, make sure and grab a picture with Buck the Official Mascot of the Kerrville Triathlon. He can be seen at the Expo, Kids Run and Cheering from the sidelines on both Saturday and Sunday. Thank you for choosing to visit Kerrville and participate in the Kerrville Triathlon Festival. We will do our best to ensure that you have a fantastic experience! Aquabike is a swim/bike event that focuses on the swim and bike legs of the triathlon without the run. This newly burgeoning division is now growing like crazy and has a USA National Championship annually with USA Triathlon. Kerrville Triathlon has distances and has seen the field grow as new athletes discover this awesome multisport event. Half Distance Aquabike: 1.2 mile Swim,56 mile Bike. Athletes with current or chronic run injuries should consider the Quarter distanxe. It can allow you to stay at a high level of fitness and improving on your swim and bike times while your injury heals. A well timed Quarter or Half Distance Aquabike event can be the perfect training for a longer distance race in the future. The main part of triathlon that fatigues the body and requires recovery is the run. By eliminating this obstacle you can test your race pace in a race environment and make training changes accordingly. Some of us are just not fast runners, but we want to be competitive. With Aquabike now being part of the USA National Championships, those with fast swim and bike times can find themselves representing Team USA at the ITU World Championships!